Hulu’s dialing up the laughter. The subscription streaming service has ordered the Ramy TV show to series. The Ramy season one release date is still TBD. 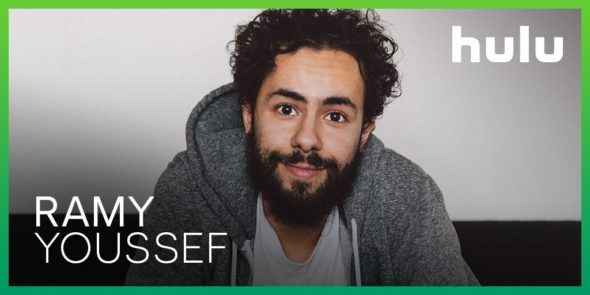 A Hulu scripted comedy, Ramy comes from creator Ramy Youssef, who will star in the series inspired by his life as a first generation American Muslim. Youssef is executive producing alongside his co-creators, Ari Katcher and Ryan Welch, and with Jerrod Carmichael, as well as Ravi Nandan of A24. Check out this Hulu press release excerpt to learn more. Hulu has expanded its slate of critically-acclaimed original series with new series orders for Four Weddings and a Funeral and Ramy, which join upcoming Hulu Originals Castle Rock, Hulu’s second project from J.J. Abrams and Stephen King set to premiere on July 25; Catch-22, from George Clooney and starring Kyle Chandler; The First, from Beau Willimon and starring Sean Penn; and Little Fires Everywhere, from Reese Witherspoon and Kerry Washington, based on the acclaimed novel of the same name. Hulu held its Upfront presentation today. Its other announcements include a season three renewal for The Handmaid’s Tale as the series order for Mindy Kaling’s Four Weddings and a Funeral. What do you think? How do you like the sound of the Ramy TV series? Will you check it out when it drops to Hulu. More about: Hulu TV shows: canceled or renewed?, Ramy, Ramy: canceled or renewed?